RESEARCH COORDINATOR AND RESEARCH SUPERVISORS. Early (ASTUTE), to improve early childhood development and reduce the prevalence of stunting (low height for age) amongTanzanian children under 5 years old with focus on the first 1,000 days of life from conception. ASTUTE aims to operationalize Tanzania’s National Nutrition Strategy at scale by reaching three million mothers and preventing stunting in 50,000 children in 5 regions named Mwanza, Kagera, Kigoma, Geita and Shinyanga. 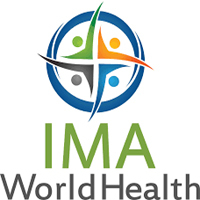 In addition, IMA is partnering with Tanzania Food and Nutrition Center (TFNC) and Cornell University to implement operations research to assess the quality of ASTUTE interventions. ASTUTE relies on community health workers (CHWs) to implement a significant portion of community-based programming, which includes negotiation of behavior on recommended practices through a home visit model. This research will assess CHW success in reaching and targeting priority families (coverage). 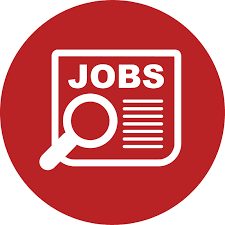 The ASTUTE program is looking for a team of male and female enumerators who will be based in rural areas of the Kagera and Shinyanga regions. The position is initially for 4 months. Females are encouraged to apply. Enumerators will work closely with and report to the Research Supervisors and Research Coordinator. They will be responsible for surveying households and community members. The enumerators are expected to accomplish the following duties. • Excellent Swahili and English communication skills, including written English skills. • Able to work independently with minimal supervision while maintaining great attention to data quality, documentation, and management. To: latifamkwawa@imaworldhealth.org cc. medardmushi@imaworldhealth.org , rosemarykayanda@imaworldhealth.org and felix@hrsolutions.co.tz With subject of Application for Survey Researchers (Enumerators). Application should include your updated CV with three contactable professional referees, copies of certificates and detailed cover letter on how your experience matches the post. Application which does not include all of these details, will not be considered. Note: The closing date for this application is Friday- 14th September, 2018. Only shortlisted candidates will be contacted. We are committed to ensuring diversity and gender equality within our organization. Selected candidates will be subjected to the Training for two weeks, before the final selection for job offer.